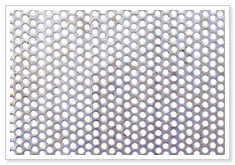 Safe deck gratings can be made either from perforated metal or expanded metals. Sometimes it is made by welded bar gratings. 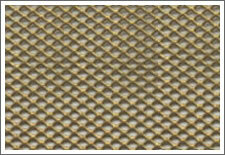 Perforated metal is one of the important metal materials for building of safe deck guards and gratings. Made of stainless steel perforated metal or galvanized steel sheets, the gratings can ensure the most strength and safety for the walking people. WireMesh.Org members offer you one of the most varied and comprehensive ranges of safety grating products for more industrial safety and the architectural solutions. Safe deck gratings are on safe ground-indoors as well as outdoors, such as industrial steps, stairways, catwalks, access steps and tread plates for commercial vehicles and machinery. With a range of different pattern types, safe deck gratings can also be made of expanded metal sheets suitable for bare feet to the classical safety grating for universal use on floor surfaces you’re sure to find one which suits your application. Our safe deck gratings are also available as flat gratings without the folded edges. We also produce non-standard sizes for special applications. Send Email or Fill in the Feedback Form on this Page to Get Professional Services and Quick Responses from WireMesh.Org Members engaged in Safe Deck Gratings.